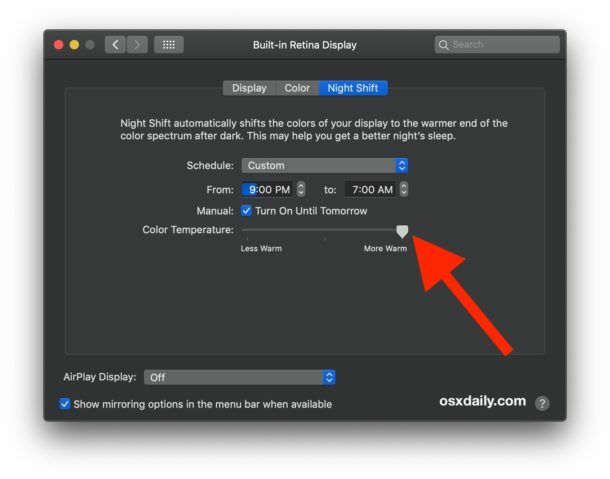 Dimming display brightness and using Flux / Night Shift make a HUGE difference for me being able to comfortably use a Mac at night in low light conditions. 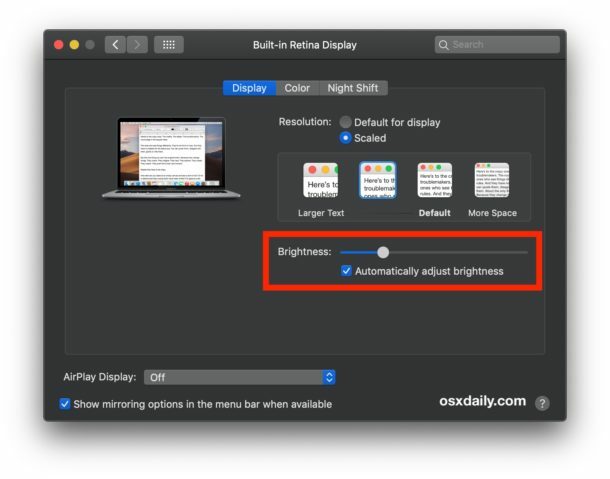 Also for laptop users I recommend changing the screen resolution at night to be bigger with less space if your eyes strain easy, it makes everything on screen larger by reducing resolution, but it can make a big difference too. No relation but I have seen it mentioned elsewhere, check it out. It’s one thing to title your article “5 tips for…”. It’s kinda presumptuous to anoint it “5 Great tips…”. Just sayin..
Fair enough, but it’s just a headline. You’re welcome to share some of your own tips for working in low light conditions! f.lux has an option to use dark mode at sunset. Works great. 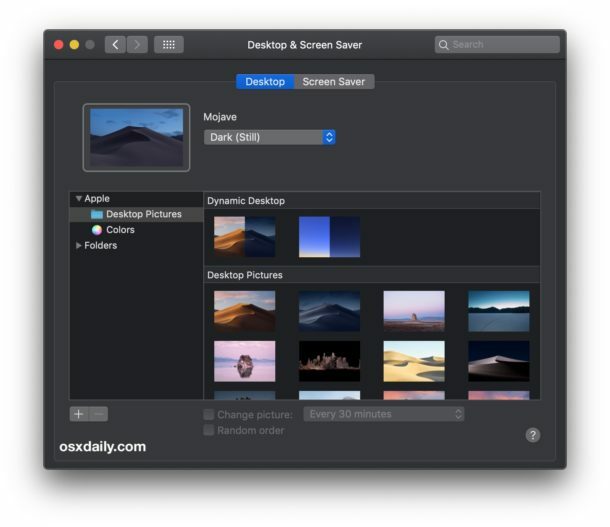 f.lux’s dark mode works fully with Mojave’s dark mode, as well, except for dark background pics/dynamic desktops. 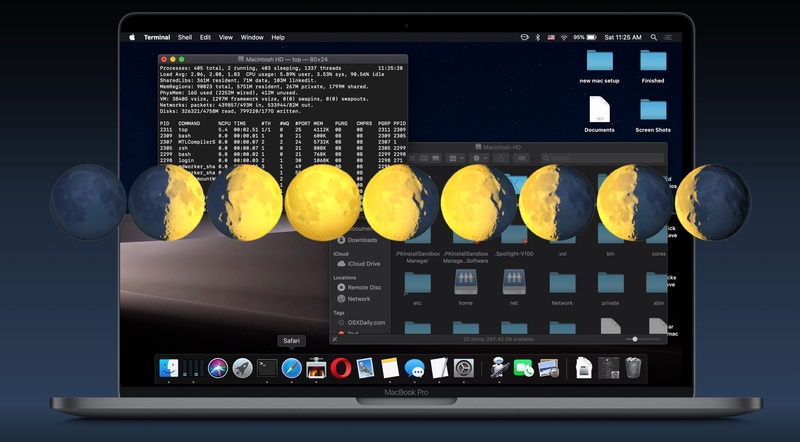 Those overlayed moon phase images on the header image look wonderfully on that dark-themed desktop. Are these from an available application? Anyway, on US English keyboards, in any text entry box you can hit CONTROL + COMMAND + SPACEBAR to bring up the Emoji selector and you can find the moon icons and all other Emoji available to type there. 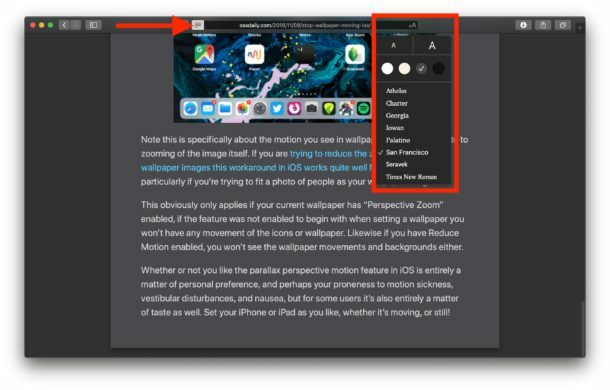 Found the Dark Mode for Safari app in the App Store that completes the dark mode feature perfectly. Some sites may not look right but for most I visited it is fantastic. 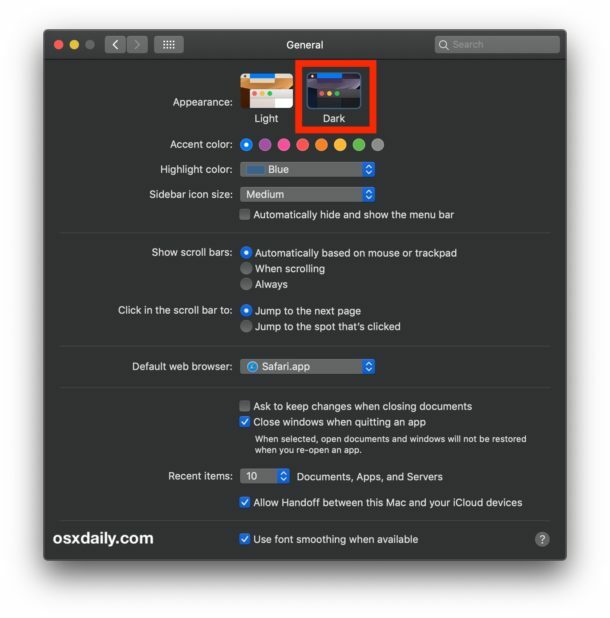 No more all white pages in Safari. Definitely worth the dollar it costs.